I must confess that I much prefer to teach adults! For a start, they’re usually taking lessons for the right (for them) reasons and so have a much clearer idea of what they want to achieve. Often, they will have had lessons as children and, when they stopped taking them, their music-making stopped with them. These prospective pupils are disappointed that they have so little, if anything, to show for their efforts and are ready for a fresh start music tuition. With all my pupils I endeavour to take a creative and holistic approach to their programme of study but adults, being less pressured by other people’s expectations of them, are better able to relax and enter into the spirit of it. The creative approach isn’t just about improvisation and composition, although we certainly do those things if the pupil is interested. It is also about being able to adapt learning to new situations, being open to new styles, taking a fresh approach to the music at each performance and making it one’s own. If they have had lessons previously, we look at new ways of using whatever skills they already have; we explore what opportunities there are for local music-making and, where appropriate, ways of making music within the family. Adults often feel it’s too late to begin lessons but, truly it is never too late! They are far better equipped to benefit from tuition than are their young counterparts and, certainly, the benefits of music-making for older people are both great and numerous. So, if you have been secretly envious of your young relations’ music-making, delay no longer and find yourself a teacher! At What Age Can My Child Learn Clarinet? It’s very easy for a young child to to fall in love with the clarinet: its sound is creamy and mellow in the lower register, while exciting and trumpet-like at higher pitches. The first encounter may happen when a marching band comes down the street, one or two musicians play jazz in a subway or, sadly, less-common nowadays, at a classical concert. The clarinet has a leading role in all these situations and many more. It may be at a school concert that it is first heard but it is less commonly offered in primary schools. This is down to size and weight, along with the complexity of assembling the instrument, which all make it better suited to a start at 11+. Graham Lyons, the inventor of this clarinet has now produced a new model, marketed as ‘Clarineo’ and available in white, black or silver. These instruments will serve the child well in the first few years of tuition and are accepted by UK examining boards for performance up to and including Grade Three. Clarinet for Beginners Downloads page. A More Accessible and Versatile Clarinet? Would you like to play a simple, versatile instrument with a good clarinet sound that’s light and easy to carry around and works great for playing jazz and folk? Yes?- then you need a chalumeau. This isn’t, as you may think, some newfangled instrument but, rather, a very old one. The chalumeau seems to have been the forerunner of the clarinet. It is a a recorder-like instrument but played with a single reed. It was essentially a diatonic instrument with a range of a ninth and came in various sizes, each producing the notes of a different scale. Some chalumeaux have pairs of half-holes for the lower notes, as do recorders, and this allows for some chromatic notes. Over the years, instrument makers have experimented with adding one or two keys and, eventually, this led to the instrument we recognise today as a clarinet. Early music afficionados have often had reproductions made of chalumeaux and early clarinets. Naturally, these were expensive to produce and so were available only to a small circle of people. Then, a few years ago, a British firm created a chalumeau tailor-made for the “Wider Opportunities” scheme introduced in UK schools. This was a very modestly priced instrument in one piece and virtually indestructible. I blogged about it in my post “Chalumeau Clarinets and Wider Opportunities” There are now several thousand of these instruments in use in UK schools. It is not only children who can benefit from these instruments, though. Anyone who wants to achieve a clarinet sound without the weight and complexity of the modern instrument will appreciate this alternative. Having no keys and rings, the chalumeau responds much more readily to pitch modifications as practised in jazz and many folk music styles. Several instrument manufacturers have created their own versions, with or without one or two keys to extend the range. Online stores for folk instruments are good places to look for them initially. Online playback enables teachers, unable to read music or play an instrument, to learn new repertoire. Where they are able to access the internet in the classroom, they can explore the online activities with pupils and use the playback as accompaniments. The website is available worldwide, 24/7, and this is particularly helpful where teachers are working in isolated or poorly resourced settings. The music is available as pdf downloads, of which a significant proportion are free. If the music is too high, too low, or needed notated for a different instrument, I am happy to respond to requests for adaptation. 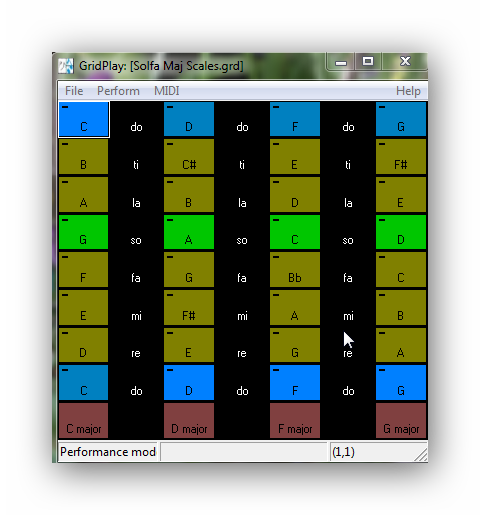 GridPlay is a non-editable version of MIDIgrid, a remarkable piece of authoring software, which I have used to support my own teaching, from pre-school to adult education and with all abilities. GridPlay Level 1 (3-7) Level 2 (8+) and Carers/Teachers (severe special needs) are not prepackaged lesson plans, suitable only for one situation, on one occasion. Rather they are ‘tool boxes’ of repertoire, virtual instruments and activities which have resourced my own teaching and which I now make available to others. As I have done all the work ‘behind the scenes’, it is not necessary to have any special knowledge of computers or music to get ‘hands on’ with the software although, of course, some musical experience can enable wider application. Nor are these intended just for use seated around the computer, although they can be used in that way. The accompanying e-books suggest how each activity can be carried out away from the computer and integrated with singing and acoustic instruments. The latter is the preferred way of using the resources. 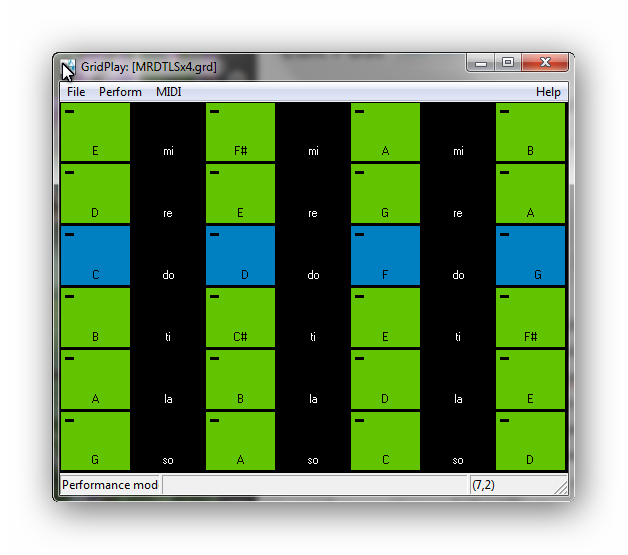 GridPlay Creative Explorations Level 1 and Level 2 comprise virtual instruments, lyrics of songs, some with sheet music and all with backing tracks, teacher notes suggesting individual and class activities for each grid. There are numerous songs for which lyrics and playback are provided online,often associated with free PDF free downloads. These songs, located on the Seasonal and Kids’ Pages of the website, are all accompanied by simple creative activities. The “Creative Classroom” projects pages cover all key stages. There are also teacher notes for non-specialist teachers with copious suggestions for using the Easy/Classrooms Ensembles as a basis for improvisation. The lyrics of this piece also work well as a spoken round and repeated phrases. We can play with words like “fizzling”, “spitting”, “whoosh”, “shoots” to create sound pictures, so even non-singers can get creative with this one! This can be sung in unison or as a round. Place lots of emphasis on the consonants of the words, creating vocal sound effects. Selected words and phrases can be used as a repeated accompaniment. 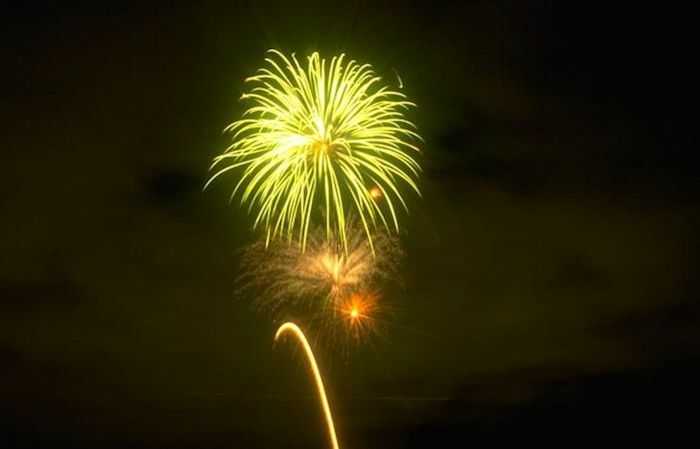 Create your own ‘firework-display’ by singing or reciting sections, in your own sequences or combinations. Launching fresh fireworks one by one. Spitting, spinning Catherine Wheels, spirals bright! Whoosh, bang! Rocket shoots up high. Then a shower of fiery rain falls from the sky. Shoots another rocket, speeding high, so high!